With two daughters now in college, The Wife is lamenting the kids growing up. Not so fast there, Mamma. There’s still a caboose at home, a bit prickly about the prospects of a freshman year in high school next autumn. She’s a bit prickly about most things lately, in fact. She’s 14 years old — no longer a child, not yet an adult; monosyllabic in conversation, prone to the world-weary sigh, disdainful of all parental interaction unrelated to meals. So it is just as well that she engineered her own three-week sabbatical away from Instant Messenger to be spent at summer camp. For a first-timer, she seemed to know instinctively what to do, particularly as regards waiting until the last minute to fill up her foot locker. Was she excited? Couldn’t tell. Nervous? Ditto. Glad to be spending time away from home? “I guess,” she shrugged. Appropriately, then, the Wife and I set off early morning on Father’s Day to deposit this little bundle of brightness and light at camp. Equally appropriately, I was able to commandeer a 2005 Nissan Quest minivan to do the honors. The foot locker and an overstuffed duffel bag stowed perfectly in the cargo well behind the third-row bench. Atop them lay a beach bag overflowing with summer-camp essentials: Pringles chips; fruity candies; chewy gums; peanutty snack bars; in short, the Food Pyramid of the Forest for a cabin-full of girly ’tweens. I particularly liked the way a clever shopping bag holder behind the rear bench seat kept this sugary survival sack from tumping over during the drive. 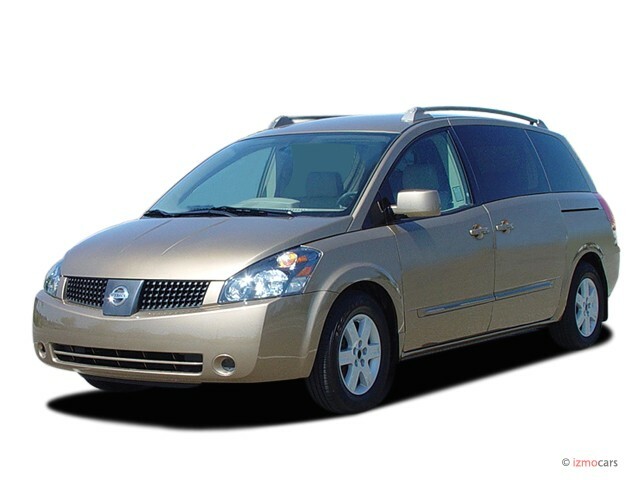 I liked a great deal about the Nissan Quest, as it turned out. For one thing, the Quest is particularly comfortable to drive. I attribute this not only to the marvelous Nissan twin-cam “VQ35” V-6 that makes 240 horsepower and to the five-speed automatic transmission newly installed for 2005 into the up-level SL model. 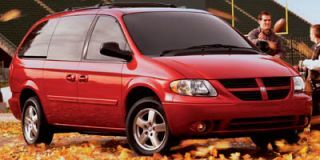 There is also the way in which the Quest responds to a driver that makes this minivan special. A rather high seating position affords an unobstructed view all the way around the vehicle. An unusual platter of gearshift, audio, climate, and navigation controls rests atop a column-like console between driver and front passenger. Tweaking knobs and levers is a bit like beating a bongo drum with the right hand, albeit with very little need to take the eyes off the road. From a commanding perch, the driver has both a spirited powertrain and a sophisticated handling setup under direct control. 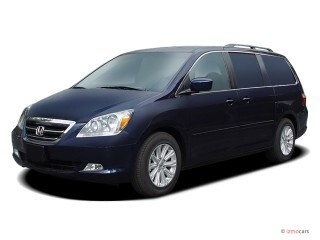 The fully independent suspension and four-wheel disc brakes are particularly sporty for a two-ton minivan. The Quest accelerates smartly, corners precisely, brakes solidly. With your eyes closed (don’t try it! ), you’d guess you were in a lively V-6 sedan. In plain view, on the other hand, is a very spacious, seven-passenger cabin that ranks among the largest vehicle interiors currently available. The Quest employs four bucket seats among front and middle rows, with a three-person bench at the rear. There’s lots of maneuvering space amidships, and this is enhanced by clever hinging of the middle seats to allow fore-and-aft movement as well as a tip-forward feature for easy access to the rear bench. With all seats in use, a deep cargo well under the tailgate swallows about 32 cubic feet — or two sedan trunks’ worth. Moreover, it’s so configured that at least two foot lockers will stack, with room remaining for duffels and snack bags. 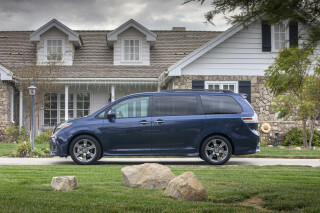 In the modern minivan idiom, the third row folds and tumbles flush to the floor, clearing even more room for bulky cargo. When the middle seatbacks are folded too, there’s fully 149 cubic feet of space. 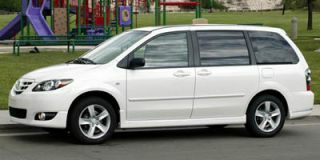 It bears pointing out, however, two of the Quest’s cargo idiosyncrasies: third-row headrests must be manually removed and stowed in order to hide the rear bench; and while second-row seatbacks fold flat, the seats themselves remain like short pedestals upon the floor, preventing a fully clear loading surface behind the front seats. So it’s a matter of priorities with the Quest. With front and middle seating so comfortable — especially so with the optional pebble-grain leather upholstery — an ideal configuration would be seating for four with rear-most cargo filling the remaining 70 cubic feet (i.e., about half of the total space possible). Whereas rival vans employ different strategies for making maximum cargo space obstacle-free, few offer front and middle passenger perches so comfortable as the Quest’s. And none offer such innovations as an optional “Skyview” glass-paneled roof that lines the ceiling with paired windows and sunshades all the way to the rear bench. An optional DVD entertainment system also makes road-tripping a delight, providing wireless headphone isolation for camp-bound 14-year-olds while Mom and Dad shuffle between broadcast and optional satellite radio stations and a six-pack of CDs. It is, I have to admit, a thoroughly civilized way to travel. 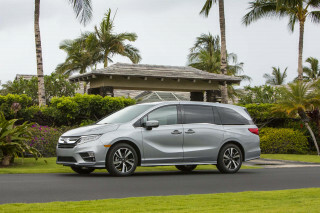 The Quest is the grown-up minivan for grown-up tastes, and thus a far cry from the original delivery-box-on-wheels designs of 20 years ago. Perhaps it is even a bit of a sensory enhancement chamber into the bargain. When finally we pulled off the highway into camp, Number Three ditched the DVD movie of her own accord and flashed her first real, albeit slightly nervous smile in months. At the bunkhouse, a swarm of not-yet-mates ferried footlocker, duffel, and snack bag into the cabin. So preternaturally animated was the scene that The Wife and I pulled our daughter aside: “Better say good-bye now before we get lost in the shuffle,” I said. “By the next time you blink, we’ll probably be gone.” That was a good hug, a sincere, tight hug, and well nigh unprecedented. Then she looked me in the eyes and blinked, pointedly, three times — and was away. Standard safety equipment: Anti-lock brakes, brake assist, dual front airbags, head-protection curtain airbags for all three rows, LATCH child seat system, three-point seat belts and adjustable head restraints for all seating positions, child safety rear door locks. 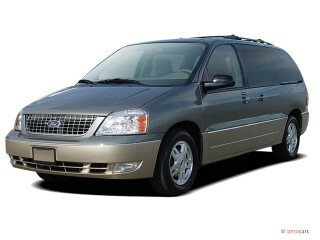 Best car anyone can ever get their hands.V12 engine runs perfectly and is rear-wheel drive 4 door van good fuel economy. 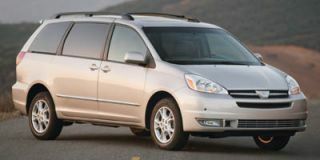 Looking for a different year of the Nissan Quest?